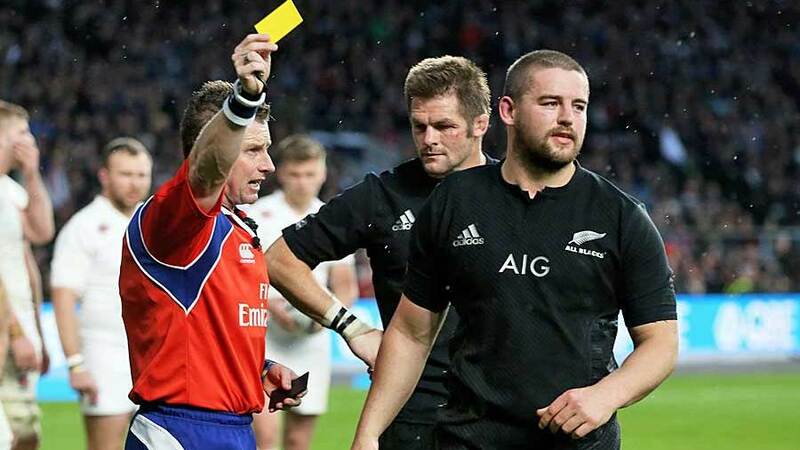 The Rugby Football Union is investigating claims referee Nigel Owens was the victim of homophobic abuse during England's loss to New Zealand at the weekend. In a letter to the Guardian, one member of the Twickenham crowd said he heard "a bunch of men...hurling nasty, foul-mouthed, racist, homophobic abuse" at Owens. The RFU has since issued a statement responding to these claims, which read: "The RFU condemns all forms of discrimination and aims to ensure that all people, irrespective of their age, gender, ability, race, religion, ethnic origin, creed, colour, nationality, social status or sexual orientation, have a genuine and equal opportunity to enjoy rugby union in whatever form, on or off the pitch, at all levels and in all roles. We take any allegations of any abuse very seriously and are investigating this matter." Owens, talking to the Daily Telegraph, called for anyone found guilty of such abuse to be banned from the ground. Owens said: "If someone has gone to the trouble to send a letter to the paper and say that this was disgusting and the behaviour was totally out of order, then I would think what they shouted was pretty bad and if that is the case then these people should be banned from the game. "They need to be told that some behaviour is not acceptable, that crossing the line of what is humour and banter is a fine line but if you cross it then you have to put up with the consequences."